For 27 years, Flamenco Rosario has been bringing together local and international artists for an annual celebration of the music and movement of flamenco. 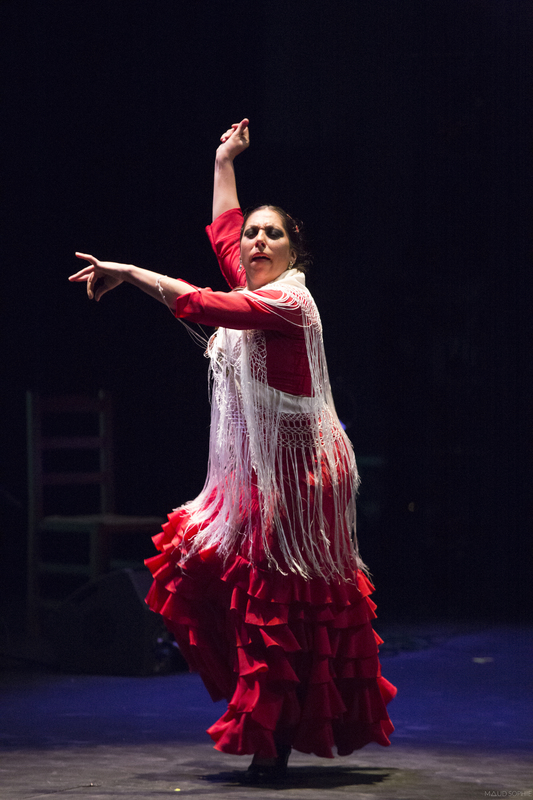 This year’s Vancouver International Flamenco Festival from September 11 to 24 features Spain’s La Moneta in the headlining performance on September 23 at the Playhouse. Dancer/choreographer Fuensanta “La Moneta” will perform Muy Especial along with cantaors (singers) Juan Ángel Tirado and Sergio Gómez “El Colarao” and guitarist Luis Mariano. Her mastery of intricate rhythms and contemporary approach have propelled her to renown in the flamenco world, and it is no wonder as she studied under greats such as Isreal Galván, Juana Amaya, and Javier Latorre. The Waterfront Theatre on Granville Island will host the festival’s other mainstage shows, including a mixed bill of Vancouver troupe Calle Verde and Quebec’s Christina Tremblay. Calle Verde (guitarist Peter Mole, dancer Michelle Harding, and dancer/singer Maria Avila) will perform Liminal. The piece is about the fine line between dreams and reality, and the theme of memory as a source of both answers and worry. This experimental flamenco group is interested in the space in between where our body and mind meet. Christina Tremblay, founder of the group Vida Flamenca, has trained with flamenco heavyweights such as Isabel Bayon, Joaquin Grilo, and Olga Pericet. She will perform her work, Puro Sentimiento. Toronto’s Fin de Fiesta, a group of European and North-American artists, will bring their Andalusian show to the Waterfront Theatre as well as Flamenco Rosario’s own set of new choreography, Nuevo, New, Nouveau. Rosario Ancer, in collaboration with partner and Musical Director Victor Kolstee and Madrid-based guest artist Karen Lugo, has created deconstructionist new works that push the boundaries of the art form. Also at the Waterfront Theatre, Kolstee’s music showcase, La Musica del Flamenco, will be an intimate night of flamenco rhythms featuring the musicians of the “La Moneta” company hailing from Grenada, Spain. Aside from the mainstage performances, the festival also offers many workshops, including a free “Understanding Flamenco” lecture and demonstration at the Vancouver Public Library central branch, a free senior’s flamenco class at the Roundhouse Community Centre, an Open Studio Showing at Centro Flamenco, and a free class at the Scotiabank Dance Centre. Flamenco Rosario is turning Vancouver into a veritable flamenco hub, and we are fortunate to be visited by these talented Canadian and international artists. In 2018, the company will tour through British Colombia with one of its recent works, La Monarca: The Monarch and The Butterfly Effect.